This role is part time to 31st January 2020 to provide maternity leave cover, however there may be opportunity for this position to become a job-share in the future. Coordinate and deliver clinical education specifically for nurses, midwives and allied health professionals in relation to reproductive and sexual health. Coordinate and broker clinical education and training products for other health professionals. Coordinate in reviewing, evaluating and developing the range of clinical educational/training products delivered by True. Coordinate and provide direct capacity development support to the Non-Medical Cervical Screening Workforce in relation to the Queensland Health Cervical Screening Program. Some out of hours work and some occasional intrastate travel is required. If you are passionate about women’s health and contributing to creating better experiences for patients through information, education, service and knowledge then you should apply now. Please contact Chyrel Moyle, HR, WH&S and Quality Manager at True Relationships and Reproductive Health on (07) 3250 0230 if you require any further information. As a Case Manager for Bolton Clarke, you will be responsible for the planning and implementation of Community Models of Care for customers with complex clinical needs and supervision of staff to ensure customer focused quality care services. Located at our Milton office you will be required to service our North Brisbane clients in their homes to live a life of fulfillment! Located in the idyllic Sunshine Coast suburb of Alexandra Headland, Tantula Rise’s residential aged care services are delivered in a modern, welcoming setting. As Clinical Manager in this 120 bed facility, your strong management skills and clinical knowledge will be required as a member of the clinical management team. Assisting the Residential Manager, you will provide leadership for all clinical staff in addition to managing all clinical aspects of the facility including ACFI and clinical governance in addition to continuing hands-on nursing across the facility. 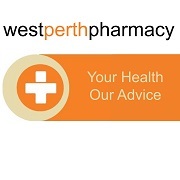 West Perth Pharmacy seeks a Nurse Practitioner to work in our Nurse Practitioner Medical Clinic. The Clinic has been operational since 2009 and in that time has built a good base clientele of patients who live locally or work in West Perth. It is a walk-in service based on convenience and accessibility to affordable, quality health care. 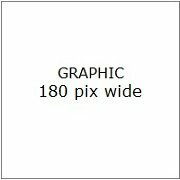 The position is for 3 days per week- Monday, Wednesday and Friday 9.00am to 2.00pm - 15 hours/week. It is open to job sharing if required. If you are keen to work independently but at the same time collaboratively with other allied health professionals, pharmacists and GPs based in a pharmacy setting to increase patient access to convenient primary health care, then we would love to hear from you. Apply in writing to westperthpharmacy@westnet.com.au or call 9321 8883 to discuss. Wagga Wagga Base Hospital is a 325 bed facility with over 40,000 emergency presentations, 1,100 births and approximately 11,000 operations each year. Come and join our fabulous multidisciplinary team working to set up a brand new service! As the RAC Nurse Practitioner you will be experienced in primary health care and the autonomous management of patients with complex chronic disease in the rural setting. Ideally, you will also have experience in an emergency setting and will provide interim management of patients who experience an acute deterioration associated with, or complicated by their chronic condition, will conduct comprehensive health assessments, and in conjunction with the patient and / or family, develop care plans specific to the patient’s complex needs. Current attainment of Nurse Practitioner endorsement in accordance with the requirements of the Nursing and Midwifery Board of Australia. To apply visit https://healthnswgov.referrals.selectminds.com and enter REQ44145 or contact Summa Stephens- Summa.Stephens@health.nsw.gov.au Applications close 28/4/19. Working to the quality agenda of Primary Health Care, the NT Continuous Quality Improvement (CQI) Planning Committee, and where applicable, other Aboriginal Medical Services*, promote and coordinate Primary Health Care service and health outcomes within Central Australia. You will be a registered nurse holding a current certificate of registration with the Nursing and Midwifery Board of Australia. Additionally you will need Knowledge of CQI and accreditation processes and experience in clinical Primary Health Care and/or coordination of health service accreditation. All enquires are welcome. The role delivers advanced care in a high care nursing home setting. Experience in Aged care, Chronic Disease Management and Palliative care. OBJECTIVE: The nurse practitioner is an innovative role which incorporates informed decision making, evaluation of practice, the implementation of therapeutic practices and direct collaboration with all stakeholders. The nurse practitioner will work in a dynamic but defined scope of practice as determined by CMG and strive to implement and advocate for the sustainability of the role in the future. Assess, plan, implement, evaluate and document care from arrival to disposition within the area of and accordance with evidence based best practice standards and CMG Values. Work in collaboration with the multidisciplinary team to ensure safe, optimum patient focused outcomes. Escalate care appropriately in reflection of professional boundaries. Enhances organisational knowledge by contributing to education, research and evaluation of the Nurse Practitioner Role. Mentor and supervise Nurse Practitioner Candidates. Ensure the safety of the public, patients and staff in relation to the provision of a safe environment from both OH & S and Infection Control perspectives. Home Nurse Services recognises, and is active in growing, the value of nurse practitioners in Australia. We only employ nurse practitioners. We will support you with collaborative GPs, enthusiastic and experienced NP peers, and management that is committed to achieving the best patient outcomes possible. Currently, we service residential aged care facilities and in-home care customers. If your scope of practice includes any of aged care, primary health, ED, wound care or chronic disease, or you are a NP that would like to transition to aged care, we would be delighted to speak with you. Equally, if you are a newly graduated NP who is looking for support as you grow in experience and confidence, we are the right team for you to join. With us, you will have autonomy and the opportunity to employ the full extent of your scope of practice. It is likely that travel is required of a position with us, but that travel will typically be limited to within an hour of your home. Duties / Abilities: The Nurse Unit Manager (NUM) is responsible for the provision of high quality, evidence based, cost effective and culturally responsive nursing services delivered by the Maternity unit and Ambulatory Care Services, in liaison with Nurse Unit Manager General Ward, Clinical Midwifery Consultant Maternity. Deliver the ReadyClinic in a community pharmacy in central Perth. You will be in-store Monday to Friday from 9.45 am to 4.15pm (30 hours / week). Consulting on a range of minor injuries and ailments and primary health issues for example women’s health, smoking cessation and health-condition monitoring for patients with chronic disease. Conducting patient assessment and diagnosis, providing advice and treatment, prescribing, referring and requesting pathology and imaging where clinically appropriate. This is an ideal opportunity for an NP who is interested in working independently but at the same time collaboratively with other allied health professionals and GPs, based in a pharmacy setting to facilitate patient access to quality, affordable and convenient primary health care. You are highly motivated by working with the community to improve health awareness and health outcomes. You have recent primary / community health experience, necessary vaccination skills and anaphylaxis management. You are motivated and excited by the prospect of establishing this new clinic, providing effective health care and demonstrating the highest possible standards of professional conduct. Please apply via Apotex careers page and lodge your resume and cover letter. To hear more about the ReadyClinic and this opportunity please contact Jennie Brandenburg, Human Resources on 02 88778345.
nursecareers.com.au is an initiative of the Australian College of Nurse Practitioners (ACNP), the national peak body for over 1,700 nurse practitioners and 20,000 advanced practice nurses in Australia. nursecareers.com.au is designed for nurses by nurses, to navigate career pathways and continuing education.